Today marks the start of one of the most exciting, fun and rewarding times of the stamping year. Sale-a-bration runs from today until 31st of March and during this time there are fantastic stamp sets available whether you are a customer, workshop hostess or a budding demonstrator yourself. Every time you spend $100 on stamping goodies you will receive a Sale-a-bration stamp set for FREE ($100 net sales before P&H). There are no limits so for each $100 you spend you get to choose another FREE set. You will receive a free Sale-a-bration stamp set when you host a workshop of at least $600 (net sales before P&H). This is in addition to all of the regular hostess benefits you will receive and the Sale-a-bration sets you will earn with your own order. 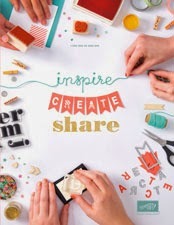 During Sale-A-Bration, anyone who joins as a demonstrator can choose any stamp set – up to a value of up to $79.95- from the current Idea Book and Catalogue! 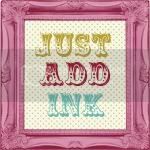 I'm really excited about this once a year Stampin' Up! event and can't wait to share it with you. Contact me TODAY to place an order, book a workshop or discuss joining up as a demonstrator (the best decision I ever made)...........or all of the above at once (*Smile*).